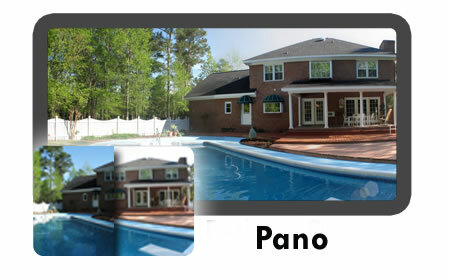 You and your client will be thrilled with the stunning clarity of the Pano Tour. Highlight those little details that show-off the charm of your listing, such as custom tile backsplashes, those amazing marsh views, or the sheer size of the rooms. Tour includes as many stills and scenes as is necessary to show off the entire house & yard, all without any additional "per scene", "per shot", or "per square foot" charges. Click here for a sample. Is Property Vacant or Occupied? Preferred Date? Requesting a certain date IS NOT a guarantee that we can or will be able to shoot on that date. This option merely provides us a general guideline of when you are looking to have your property shot. We will always do our best to work with the agent/occupant to accommodate special requests. Preferred Time? Requesting a certain time IS NOT a guarantee that we can or will be able to shoot during that time frame. This option merely provides us a general guideline of when you are looking to have your property shot. We will always do our best to work with the agent/occupant to accommodate special requests. Special Requests Please use this form to provide us any special requests that you may need. For instance, you may need us to shoot at high tide; OR want specific additional focus paid to certain areas, rooms, or finishes; OR if we need to avoid shooting during a certain time. We will always do our best to accommodate your special requests.